Posted on February 24, 2015 by Lea S.
Whether you’re a silent era newbie or someone who’s already into movies in general, there’s a ton of reasons to get into silent films (so far I’ve counted up to 11,459). If you are one of those movies-in-general fans, your reason for taking a look at the 1890s/1900s/10s/20s is probably for the sake of expanding your Artsy Filmmaking knowledge. This is a worthy reason, one that I can stand behind while cheering very loudly and doing fistpumps. Basically me while you’re expanding your knowledge. However, there’s another big reason to get into silent films, a vastly important one: silent films will expand your perspective. To be more specific, you will never look at history–or heck, today’s society–the same way again. Now, if you think of history in terms of “that boring subject about dates and laws that you hated in school,” well…get ready for a mental overhaul. As I love to point out, seeing what life was really like in the past is a massive part of the experience of enjoying silent films, which conveniently go all the way back to the Victorian era. Actually seeing the corsets, the horse-drawn wagons, and steam trains and so forth of our ancestors makes history come alive in a way that textbooks can never compete with. Not to mention that it gloriously broadens our comedy horizons. 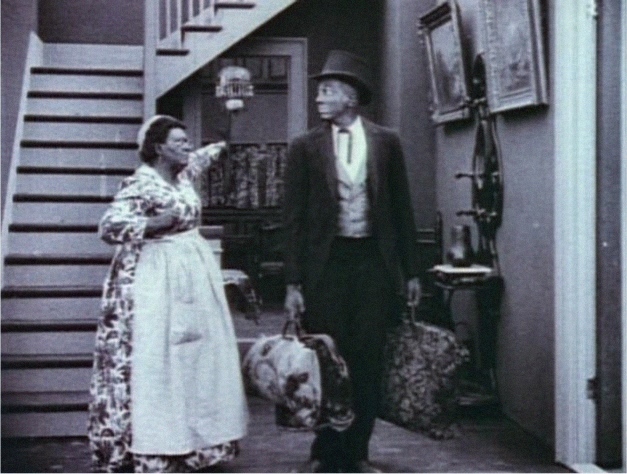 Some of the knowledge we can gain from the silent era is gratifying (seeing everyday life in motion) and some of it is sobering (the treatment of different races), but all of it is fascinating. 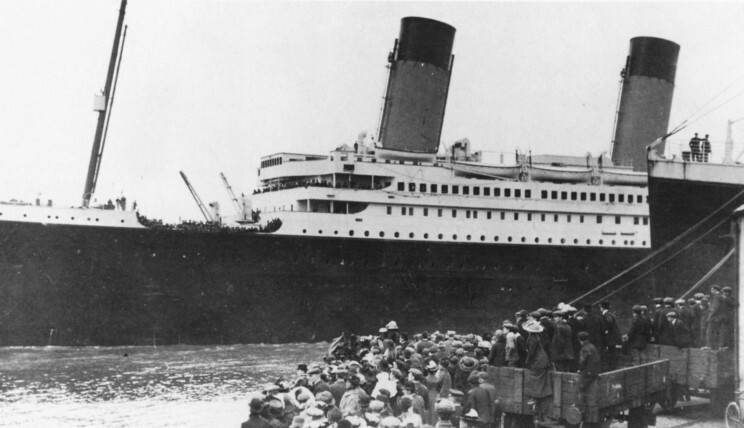 The 1912 Titanic disaster is one of the most well-known tragedies of the 20th century. It’s been covered in numerous books, documentaries and exhibits, and believe it or not in 1997 there was even a feature film (an obscure fact, I know). So for many people, the 1912 date is already very significant. For the silent era fan, it’s doubly significant since numerous films survive from both before, during and after that date. Few things make the disaster hit home more than, say, watching The Musketeers of Pig Alley and knowing that it was released the same year the Titanic went down. To look at those old films (and some are still very sharp and nicely-preserved) is to realize that the 1,500 people who died in the freezing North Atlantic looked and dressed much like the people you’re seeing so vividly onscreen. And it’s also eye-opening to realize that most men, women, and older children in post-1912 films probably had strong memories of the day when they first heard the Titanic had gone down (much like our generations remember 9/11, or even Pearl Harbor). Well, this is quite a broad subject. How exactly can the silent era change our outlook on disease? We already know Disease = Bad, right? We’ve all heard of those old-fashioned melodramatic stories involving newly-orphaned children, or parents whose baby dies suddenly, or young couples who are parted forever when one of them succumbs to a long illness, etc. 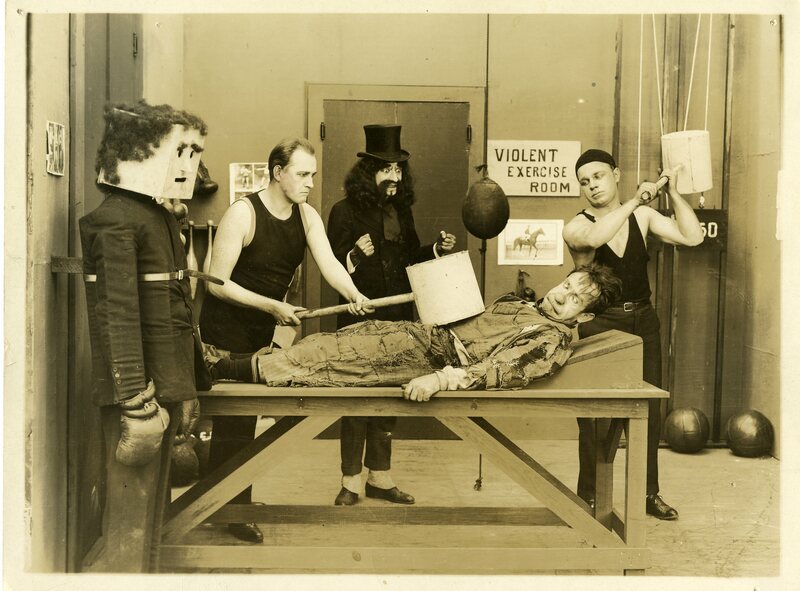 And hey, it looks like a lot of silents were about stories like that, too. A lot of silents. From The Country Doctor (1909), where a doctor is torn between trying to save either a patient’s child or his own child from the same disease, to L’enfant de Paris (1913) where a little girl’s mother dies of a grief-induced illness, to Way Down East (1920) where Anna’s sickly baby slowly wastes away, many old films feature disease and death. Heck, in The Sunbeam (1912) some impish children play a joke on their tenement neighbors by putting up a scarlet fever quarantine sign. The scamps! And then it starts to sink in, the fact that diseases that are easily cured today commonly took away parents, children, friends, and lovers. The melodramatic scenes around death beds were reminders of real pain and loss for many people in movie theater audiences back then. They were a reflection of life, not always a mere plot device. If that doesn’t make you thank your lucky stars that you live in a time with high-quality medical care, vaccinations and good sanitation, nothing will. To many people today, the Great War means “That One Large Chunk of My History Book,” the one that talks a lot about bombardments, fronts, trenches and other military-ish things. Even though it happened a mere hundred years ago, many of its details are known only to history buffs. Often it’s overshadowed by World War II. But thanks to watching silent films, I can say that WWI is almost more real to me than WWII (and my own grandpa served in that one). A number of films dealt with the Great War from multiple perspectives, and these turn it from a dry, faraway subject into a tragic, intensely human experience. Will you ever take the heroism of early fighter pilots for granted after seeing Wings? Will the staggering death toll of the war ever seem like a mere number once you’ve seen the army of the dead march in J’accuse? The War had a huge impact on people’s lives, and film reflected that, from the dark comedy of Shoulder Arms to the in-your-face propaganda of Hearts of the World to the epic sweep of The Big Parade. Not to mention that we can see hours of actual footage of the war, ranging from shots of new recruits to views of soldiers hunkering down in the trenches. We are so fortunate that film was invented and fine-tuned in time to help us understand such a massive global event. When it comes to racism, and discussing how the ideas of today’s society differ from the past, many people take either a glass half-full or a glass half-empty approach. Being an optimist, I see the glass as half-full, because I have looked upon the second half of The Birth of a Nation, and I can tell you that even though our world may not be a bed of roses at least we don’t even consider making films like The Birth of a Nation. The more silents you watch, the more fully you understand what we mean when we say “it was a different time.” One thing you will notice about old films is not so much an excess of hatefulness toward different races (like newbies might be expecting to see), but rather a shockingly low bar for what was considered “harmless.” For instance, it was commonplace for white people to play characters of different races, like Richard Barthelmess’s Asian shopkeeper in Broken Blossoms or Jules Cowles’s black hired hand in Seven Chances. And stereotypes abounded: Jewish characters tended to do a lot of hand-wringing, black people were afraid of ghosts, Latino men were often sketchy “greasers,” Asians loved opium and American Indians were invariably pidgin English-speaking Sioux. Compare all that to some of the things that get us riled today (“That TV show doesn’t have a perfect balance of characters of all races! I shall write a massive Tumblr screed about it!”). Yes, there’s still objectionable material to be found out there (see: YouTube comments)…but good heavens, at least our mainstream movies no longer have gags where black characters get so frightened that they disappear in a heap of coal dust like in Super-Hooper-Dyne Lizzies (1925). Man, this list touches on some depressing subjects. Never fear–this is the last one, and hopefully it’s less depressing than thought-provoking. So what with all the disease, war, natural disasters, and biases our ancestors had to deal with, you’d think that they must’ve been huddled in their homes in eternal fetal positions. After all, we here in the 21st century are constantly worried–about how healthy our food is, about how many hours of sleep we get, about how safe our kids are, about having our identities stolen, about not getting sued for something silly, about whether or not your quiet neighbor is a psychopath since oh em gee he’s just like that guy in that CSI episode, etc. And yet…you don’t get that overall sense of anxiety from people in old films, even though they had so much to worry about. You see children playing unsupervised, sometimes barefoot. You see characters climbing buildings without any equipment as other people gather and cheer them on. You see the Keystone actors performing slapstick in a public dance hall, sometimes running right into people and knocking them over while they laugh and be good sports about it. Were they just more careless than we are? Were they more fearless? In spite of all the usual hardships of life, something in the air was different back then. It’s hard to put your finger on exactly what it is. I’m reminded of the last time I was at Target. I was browsing an aisle (the cleaning products aisle I think) along with a mom and her little boy. He was asking if he could go look at the toys. She said no. “Why? ?” he whined. “Because someone will steal you,” she said offhandedly as she bent down to look through a shelf. So when you look at all those glimpses of the past in those old films, at those time periods where people could die of illnesses and war, and look at those barefoot kids playing freely in the street and clowns doing crazy stunts in public to everyone’s delight, and you contrast that with our clean healthy society where we are afraid to trust our own neighbors…well, let’s just say that a broadened perspective can give you an awful lot to think about. This entry was posted in History and tagged history, racism, silent films, Titanic, WWI by Lea S.. Bookmark the permalink. OMGosh, Lea…this is masterful! The way you hook the reader in, beginning with the title, and then the five things you listed and so beautifully related to people today who haven’t seen silent films. I can’t imagine how long it took you to write this piece. Maybe it just flowed. From now on when I try to talk someone into watching a silent film, I am going to make sure they read this article first. If it doesn’t awaken their curiosity, I’d be very surprised. I love the way you write! Awww, thank you! 🙂 That’s such a great point about silent films “humanizing” your ancestors…it’s very much what I was trying to get at with this piece. People from the past can seem so distant, but they were once living breathing individuals. And yeah, aren’t silent comedies just the best at helping us realize that?! It’s unbelievable how fresh and modern their humor can be! Great points! Watching films of this era does help me to have a more human sense of otherwise somewhat abstract historical events. In fact, I often get a sense of that connection through fictional films more so than newsreel footage, which is crucial but can also be distancing. Also, you mention 1900s-20s, don’t forget the silent film of the 1930s! (or for that matter, the 1890s!) Some of the most wonderful silent films came from the 1930s, I’m thinking particularly of Chinese and Japanese production. Well argued 🙂 I think the point for me is that connection with the past. The world moves at such a fast pace, but it’s always important to remember some fundamental human needs and behaviours stay the same and silents are a great way to connect with that. The individuals involved might never have known what an iPhone was, but they had the same desire to tell stories, to laugh and to cry. 🙂 Speaking of which, there are times when you’re watching silent movies (mainly short comedies) where you can clearly see regular people standing in the background, watching the filming. You’ve got to wonder what those people would think if they knew that we could see them on our smartphones 100 years later! Yes! That’s something I’ve sensed and wondered about as I’ve watched many silents, both comedies and dramas. Of course, we’re seeing fiction, but still, you just get the impression that people back then had a gift for rolling with the punches and for enjoying the present moment without being robbed of it by worries of tomorrow. Maybe they had those qualities because of the hardships? I don’t know. And adults seemed to so often openly *play* in ways we wouldn’t today. You’re right, there did seem to be something different in the air. There really was! And even though the films are fictional, art does, after all, imitate life. Trends and modes of thinking do tend to subtly influence people’s work, even though they aren’t aware of it (and this still happens today). And re the disease section, Lea, it’s interesting how many of them deal with tuberculosis, specifically. You can really see what a huge factor that was then. This may sound morbid, but…those are actually some of my favorites. 🙂 Not that I enjoy seeing people suffer—I suppose because they just give so much of a sense of the time and a feel of what melodrama was about. Alice Guy-Blaché’s Falling Leaves—do you like that one? The Edison sort of educational ones are also fascinating to me. i know what you mean–Falling Leaves is a nice example too. Another one (although it doesn’t mention consumption specifically) is a Biograph film, The Country Doctor (1909). A beautiful, sad little drama. In movies nowadays, a character coughing = DEATH IS COMING. Back then, coughing specifically meant tuberculosis, but now the illness is usually pretty vague. It’s interesting how that’s passed down!